President Goodluck Jonathan has promised to break his silence on his experience in office and other issues at the appropriate time. Mr. Jonathan however did not give an indication as to when will be the appropriate time. He made the pledge when approached by journalists at the Presidential Villa for an interview, after the Good Friday Service organised by the Aso Villa Chapel. “Don’t worry, I will talk to you at the appropriate time...,” the President said, smiling, as he made his way from the chapel to his official residence. The seven short exhortations that accompanied the seven biblical lessons all centred on the sacrifice the preachers said Mr. Jonathan had made to keep the county united. They likened his decision to concede defeat in the last Saturday’s presidential elections to the sacrifice Jesus Christ made to save mankind. They also agreed that the bold step taken by the President at the appropriate time was commendable and urged him to remain focused because his future was in the hands of God. Chukwuemeka Odumegwu Ojukwu Jnr. 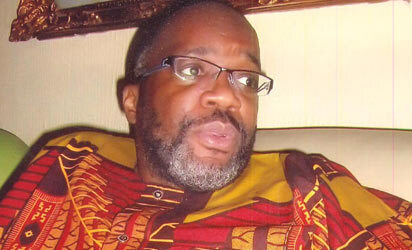 son of the late Ikemba Nnewi and Biafra warlord, Dim Chukwuemeka Odumegwu Ojukwu yesterday said that he has concluded arrangements to drag the Peoples Democratic Party, PDP and the Independent National Electoral Commission, INEC to the Election Petitions Tribunal in Anambra State to recover the mandate stolen from him during last Saturday’s National Assembly election for Nnewi North/Nnewi South/Ekwusigo Federal Constituency in the State. The Rivers State governor and the Director-General, Muhammadu Buhari/Osi¬bajo Campaign Organisa¬tion, Chibuike Rotimi Amaechi, has apologised to those he offended, as a result of his political activi¬ties to, in the spirit of Easter, forgive him. The appeal was contained in a pre-gubernatorial and state Assembly elections address, broadcast to the people, yesterday. The National Chairman of All Progressive Grand Alliance, Victor Umeh has described the APC president elect, General Muhammadu Buhari’s victory as divine and urged Him not to see Ndigbo as his enemies . He stated this at the Cruisin Mass at Saint Patrick Catholic Church Awka Diocese.He urged the new president elect to adopt the report of National conference, being the benchmark that made the easterners support President Goodluck Jonathan. 'Th president elect- General Muhammadu Buhari I Know is a good man and the right leader for Nigeria at this critical period, You heard him say he is on a critical mission to rescue Nigeria, But I want him not to see Ndigbo as people that hate him, but should us from the angle of people who are desperately in the need to be fully integrated into Nigeria politics, we ae only seeking for a platform to show our solidarity for the nation progress'' he exclaimed. The Catholic Bishop of Awka His Lordship Most Rev. Paulinus Ezeokafor has described the 2015 Easter celebration as a period of forgiveness and time to show unconditional love to one another noting that God shows us his unconditional and immeasurable love by blotting out our offences through the suffering, death, and resurrection of Christ his only begotten Son. Bishop Ezeokafor who stated this while delivering his Easter message at St. Patrrick's Catholic Cathedral, Awka said, 'In Him, as St Paul rightly puts it, "We have redemption through his blood, the forgiveness of our trespasses” (Eph 1:17). In his last words on the cross, “Father, forgive them for they know not what they do” (Lk 23:34), Jesus highlights the deep mystery that his death inaugurates and which reaches its fulfilment in His resurrection." The chairman of the Independent National Electoral Commission (INEC), Prof Attahiru Jega, has declared that he would not serve another term as boss of the electoral body when his first tenure expires in June, even if he is asked. Speaking in an interview with the Hausa Service of the British Broadcasting Corporation (BBC Hausa) last night which was monitored by our reporter in Abuja, Jega said having played his role in the political space... for five years, it was time another person was given the chance to contribute his own quota. PEOPLE’S Democratic Party, PDP, chieftain in Anambra State, Chief Chris Uba, has urged the Independent National Electoral Commission, INEC, not to declare any candidate of the party winner in the state and National Assembly election. PDP candidates in Anambra State at the Supreme and Federal High Courts. without the determination of the pending cases. At least 5 persons including 2 policemen and the Group Managing Director of NESTOIL PLC, Dr. (Sir) Ernest Azudialu Obiejesi were serious wounded on Sunday in a fight between him and the Director of Transformation Ambassador of Nigeria (TAN), Dr. Ifeanyi Uba. The Free-For-All Fight began around 3.30pm at the headquarters of Ihiala Local Government Area of Anambra which is the collation center for Ihiala Federal House of Representative, and lasted for more than 45minute over an alleged result mutilation. Daily Times learnt that trouble started when Dr. Ifeanyi Uba allegedly found Sir Obiejesi while falsifying the original result sheet been submitted to the collation center in favour of his party, APGA. Ifeanyi Uba was supporting PDP. 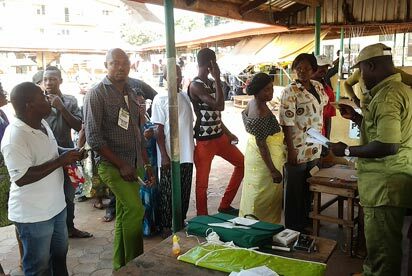 Mixed reactions trail presidential and National Assembly elections in Anambra State as late arrival of electoral materials , inactive card reader matchines , late commencement of accreditation of voters and a host of other logistics charaterised the entire process . In the course of monitoring the exercise in Anambra-North senatorial zone , newsmen gathered from the speaker of the Anambra State House of Assembly , who is also the APGA candidate for Ogbaru federal constituency in the election Princess Chinwe Nwaebili that there was something fishy about the whole process . Princess Nwaebili who was accosted by newsmen at Iyiowa\Odekpe polling unit 05 Ogbaru lamented that the delay in the whole process was caused by INEC stressing that accreditation of voters should have commenced at 8 am according to the apex election management but there were no materials as at the aforesaid time . Asari-Dokubo, who hails from the same region as Jonathan, said the voting pattern showed that the South-West and the North ganged up again the South-South and South-East geo-political zone. The ex-militant said in a statement by his spokesperson, Rex Anighoro, that it was unfair that the minorities were being emasculated by the majority ethnic groups. He said he feared that the government of the President-elect, Muhammadu Buhari, would be vicious. Asari-Dokubo said, “The conditions that advanced the need to embrace the creeks have been sadly re-energised, it is clear that a vicious government who may maim and murder the voice of the so called minorities may have just been birthed. The ex-militant, who had in January said he and his colleagues would wreak havoc if Jonathan lost, praised the President for being a true statesman. 1.There shall no more be a ruling party; All Progressive Congress(APC), will now be your governing party. 2. You are all my people; I will treat you all as mine. 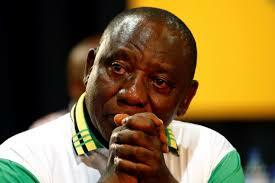 I will work for those who voted for me, voted against me and those who didn’t vote at all. 3. President Jonathan has nothing to fear of me; we might not agree on the same methodology of governance… he is a great Nigerian leader, who made it possible for democracy to thrive.I will extend my hands of fellowship to Jonathan and his team. US President Barack Obama has praised President Jonathan for conceding defeat in the recently held presidential election. In a statement released today, President Obama said President Jonathan through his action placed Nigeria's interest first. He urged the president Elect, General Muhammed Buhari to live up to expectation and run an all inclusive government that will re-writ the nation history in gold. I want to take this opportunity to congratulate General Buhari on his being declared winner of the Presidential elections. President GOODLUCK Jonathan has shown leadership by putting the interest of our country first. 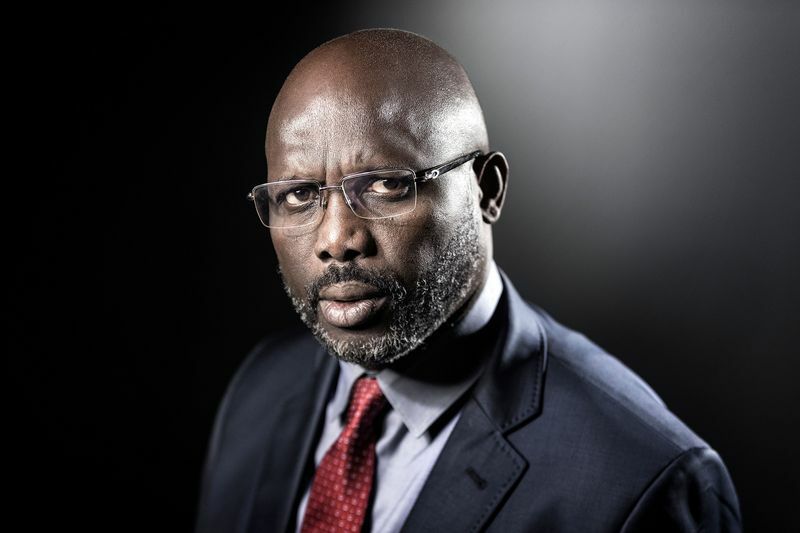 His commitment to a credible, free and fair election and ensuring a violence free post election is commendable. Today, whether you're PDP, APC, KOWA, APA or ACPN - whatever your political affiliation - we can all hold our heads high and be proud of our country and budding democracy - which is definitely here to stay. First Lady Patience Jonathan says she has not started packing out of the Aso Rock Presidential Villa, Abuja. Mrs Jonathan was reacting to a media report on Wednesday that she had summoned her domestic staff and ordered them to pack her personal belongings in readiness for a change of guard. The report had said that when it became evident by 6pm on Tuesday that President Goodluck Jonathan had lost his re-election bid, a truck made two trips transporting the first lady's property to an undisclosed destination. But Mrs. Jonathan's spokesman, Mr Ayo Adewuyi, in a telephone chat with our correspondent described the report as untrue. President Elect General Muhammadu Buahri has reiterated its administration resolve to crush corruption and terrorism in his. He said Terrorism will soon be a thing of the past and assured the drive by Nigerians is restored to ensure corruption is nip in the board which gave birth to their election to take the nation to another level of development , which he assured would not be disappointed. General Muhammadu Buhari disclosed this in a speech, after receiving the certificate of return from INEC headquarters Abuja and the deputy, Professor Yemi Osibajo. Incoming First Lady Aisha Buhari took to her newly created official Twitter handle to congratulate her husband, General Muhammadu Buhari, for his victory in the presidential election. About two hours ago, Mrs Buhari who has recently joined Twitter, wrote, “I am so proud of my husband and the team who have worked hard to make this happen. Nigerians are aware now more than ever that the people have the power to sway the fate of a nation. “We must see this as a triumphant show of democracy, a change for the better. I am excited for the future of this nation as we now have a mandate for change. President Goodluck Jonathan on Tuesday said despite his defeat in the hands of Gen. Muhammadu Buhari (retd.) of the All Progressives Congress in the last presidential election, the Peoples Democratic Party should be celebrating rather than mourning. In his statement after the announcement of the election result, Jonathan said the PDP should be rejoicing because it had in the last 16 years steered the country away from ethnic and regional politics. He said, “To my colleagues in the PDP, I thank you for your support. Today, the PDP should be celebrating rather than mourning. We have established a legacy of democratic freedom, transparency, economic growth and free and fair elections. NATIONAL leaders of the All Progressives Congress (APC) have started reacting to the congratulatory phone call placed by President Goodluck Jonathan to its standard-bearer in the just-concluded presidential election. All Progressives Congress, APC, has secured 64 senators to Peoples Democratic Party, PDP’s 45 after Saturday’s presidential and National Assembly elections. Some of the PDP senators who lost to APC include Senators Ahmed Makarfi (Kaduna North), Deputy Senate Leader, Abdul Ningi (Bauchi South), Smart Adeyemi (Kogi West), Hosea Agboola (Oyo North) and Zaynab Kure (Niger South). Following outcome of the polls, which has seen APC take over majority in the Senate, there are concerns over what becomes the fate of the Senate President, David Mark, who has made history as the only senator to be elected for the fifth time since commencement of the current democratic dispensation. Former President, Olusegun Obasanjo has congratulated the President-elect, Gen. Muhammadu Buhari over his victory at the Saturday presidential polls. Obasanjo in his congratulatory message he personally signed and made available to newsmen in Abeokuta shortly after Buhari was declared winner of the election, said his government must reposition some national institutions such as Military, security power among others which according to him had been damaged. THE Movement for the Emancipation of the Niger Delta, MEND, has commended the President-elect, General Muhammadu Buhari (retd.) on his victory in the 2015 presidential elections, saying Nigerians made the right choice. “President-elect, General Mohammadu Buhari’s message of hope, freedom and opportunity resonates with our group, as it does with the Nigerian people. Erstwhile Head of State, Major-General Muhammadu Buhari, was, yesterday, returned to power in a historic election that saw the first defeat of an incumbent president in the history of democratic rule in post-colonial Nigeria. President Goodluck Jonathan, candidate of the ruling Peoples Democratic Party, PDP, hours later conceded defeat and put a call to Buhari at about 5.15 p.m. with only Borno State yet to return its results. At that time, Buhari was already leading by 14,932,385 to the 12,638,310 votes scored by Jonathan. Buhari, the presidential candidate of the All Progressives Congress, APC, defeated President Goodluck Jonathan, the flag bearer of the Peoples Democratic Party, PDP by 15,405,928 votes to 12,663,950 votes, according to final results declared by the chairman of the Independent National Electoral Commission, INEC, Professor Attahiru Jega. The triumph of the 72-year-old Buhari followed sweeping victories in all but one of the six South-West states and all but two of the North’s 19 states. The endorsement of Buhari was, however, tempered in Jonathan’s South-South and the South-East states where the President won massively. With the eyes of the world focused on Nigeria after the Saturday presidential and National Assembly elections, Jonathan put a foot in a personal march towards international statesmanship when he conceded victory to Buhari once the trend of the results put Buhari in an unassailable lead yesterday evening. ABEOKUTA – Former President, Olusegun Obasanjo has congratulated the President-elect, Gen. Muhammadu Buhari over his victory at the Saturday presidential polls. Former Deputy National Chairman of the Peoples Democratic Party, PDP, Chief Bode George says he may be going on exile following the victory of the Presidential candidate of the All Progressives Congress, APC, Maj-Gen Muhammudu Buhari (retd). George had said in an interview that he would proceed on exile if the APC wins at the federal level. Speaking with Vanguard, on the PDP’s defeat at the polls, the PDP chieftain said “What will I be doing here? I can decide to go and live anywhere. Look at everyone surrounding him (Buhari). I thank you all for turning out en -masse for the March 28 General Elections. I promised the country free and fair elections . I have kept my word . I have also expanded the space for Nigerians to participate in the democratic process . That is one legacy I will like to see endure. Although some people have expressed mixed feelings about the results announced by the Independent National Electoral Commission ( INEC ) , I urge those who may feel aggrieved to follow due process based on our constitution and our electoral laws , in seeking redress. As I have always affirmed , nobody ’s ambition is worth the blood of any Nigerian. The unity , stability and progress of our dear country is more important than anything else . I congratulate all Nigerians for successfully going through the process of the March 28 th General Elections with the commendable enthusiasm and commitment that was demonstrated nationwide . I also commend the Security Services for their role in ensuring that the elections were mostly peaceful and violence -free . The Free-For-All Fight began around 3.30pm at the headquarters of Ihiala Local Government Area of Anambra which is the collation center for Ihiala Federal House of Representative, and lasted for more than 45 minute over an alleged result mutilation. PORT HARCOURT: Resident Electoral Commissioner, Rivers state, Dame Gesilia Khan Sunday night said elections held in the 23 local government areas of the state. The All Progressives Congress (APC) has fulted the claim made by Mr. Femi Fani-Kayode the Director, Media and Publicity of PDPPCO of the Peoples Democartic party. Alhaji Lai Mohammed, National Publicity Secretary All Progressives Congress (APC) Lagos. in a statemet said our attention has been drawn to the claim made by the Spokesman of the Jonathan Campaign Organization, Mr. Femi Fani-Kayode, that the PDP is winning the presidential election in 23 states and has scored 64 per cent. Bafana Bafana coach Shakes Mashaba was delighted with his side’s showing in their 1-1 draw with Nigeria in Nelspruit on Sunday An 85th minute scorcher by Russian-based Ahmed Musa – who captained the Super Eagles side on the day – and an added time strike by Mamelodi Sundowns’s Bongani Zungu ensured a share of the spoils in the friendly international at the Mbombela Stadium. Thousands of supporters of opposition party on Sunday demonstrated in the southern state of Rivers, calling for the cancellation of elections locally because of alleged irregularities. The demonstrators from the All Progressives Congress (APC) converged on the local offices of the Independent National Electoral Commission (INEC) in the state capital, Port Harcourt. All Progressives Congress (APC) party supporters march towards the Independent National Electoral Commission Office in Port Harcourt during a demonstration calling for the cancellation of the Presidential elections in the Rivers State on March 29, 2015. Nigeria's closely fought general election went into a second day after failures in controversial new technology snarled the polling, including for President Goodluck Jonathan. Little wonder would anyone believe that the senatorial candidate of the All Progressives Congress, APC, for Kogi West Senatorial District, Hon. Dino Melaye, would defeat an incumbent Senator Smart Adeyemi to represent the senatorial district at the upper chamber of the National Assembly. Ashiwaju.org gathered that Senator Smart Adeyemi, a candidate of the Peoples Democratic Party, PDP, came third in the race as the Accord Party, AP, candidate, Hon. Sam Aro, came second. Even in the face of provocation of gargantuan proportions occasioned by the episodic failure of the Smart Card Readers, SCRs, Nigerians persevered, were patient and eventually voted at yesterday’s presidential and National Assembly elections. It was, indeed, the dawn of a new electoral process for a nation that had been reeling under the unbearably crushing weight of a shambolic voting regime. Yesterday’s elections, which suffered early avoidable hitches – and for which reason voting would have to be done in some polling units today – demonstrated to the whole world that Nigerians were never really the problem in the democratic voyage. Rather, it was proved beyond reasonable doubt, that Nigerians want democracy; that Nigerians want peace; that Nigerians love a process that would lead them to an outcome devoid of rancor. At the second polling booth, Unit 022, Buhari emerged winner with 348 votes while Jonathan polled 302. APC Candidate Condemns Elections in Aguata LGA Describes It As Sham! The All Progressives Congress, APC, has condemned the elections conducted in Aguata Local Government Area, describing it as a sham. The party accused officers of the Independent National Electoral Commission, INEC, of "systematically" rigging the election held on Saturday. Speaking its candidate for the Federal House of Representatives seat, Aguata Federal Constituency, Mr. Carl Agbaih said he would not accept the results. "What we saw or witnessed yesterday in Aguata was the return to the days of electoral brigandage. Stories of ballot stuffing, intimidation, connivance by INEC officials, ballot box snatching and no proper collation of votes became the order of the day. The presidential candidate of the All Progressives Congress APC) in yesterday’s elections, Major General Muhammadu Buhari (rtd), expressed satisfaction with the electoral process. Buhari spoke to journalists after his accreditation for the polls at Sarkinyara Ward A, Kaafar Baaru 0003 Polling Unit, Daura, Katsina State, at about 9.30am. Main opposition All Progressives Congress (APC) presidential candidate Mohammadu Buhari casts his ballot at a polling station in the "Gidan Niyam Sakin Yara A ward" at Daura in Katsina State on March 28, 2015. Voting began in Nigeria's general election but delays were reported countrywide because of technical problems in accrediting electors.